Pearl, coconut & mango extracts. I'll help make break ups history for Brittle hair. This is your new beginning. Get over that break-up. 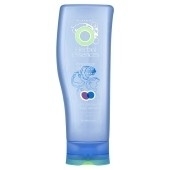 Care for and defend your hair with my replenishing formula containing pearl, coconut and mango extracts. I'll make you feel energized and help protect your hair against combing and styling damage.